This antique illustration comes from the first volume 1887 edition of "The People's Cyclopedia of Universal Knowledge" edited by W.H. De Puy. 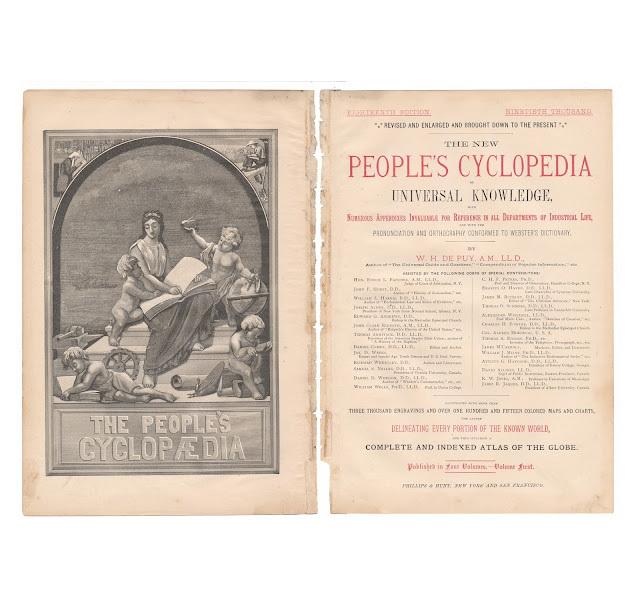 It was published by Phillips and Hunt of New York as part of a four volume set. Title page shown here for reference purposes and is not included with the sale. 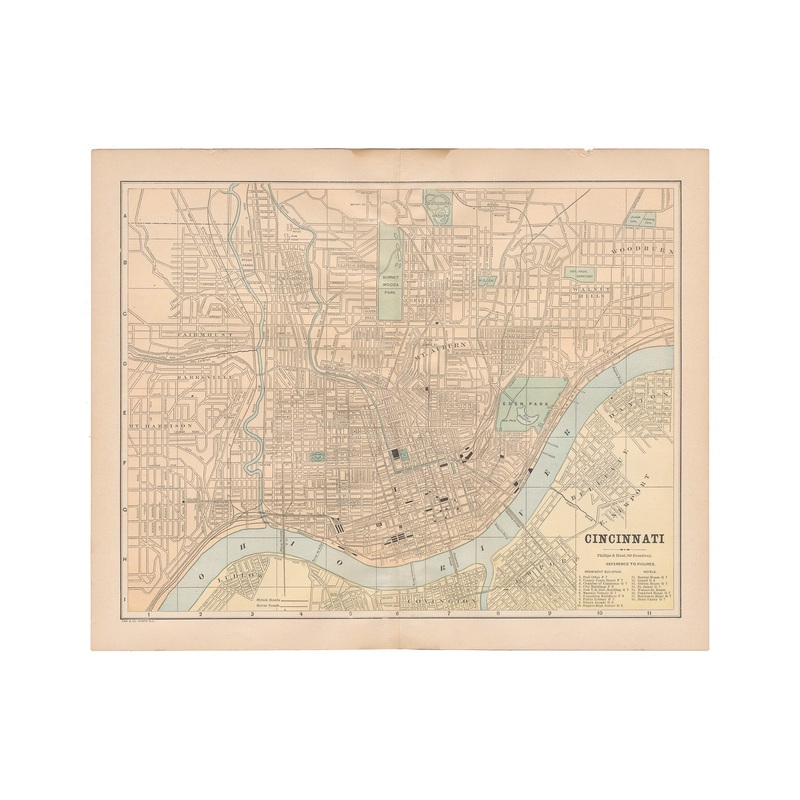 The illustration is a color street map of Cincinnati, Ohio. The map is very clean and crisp overall, some slight browning but no major rips or tears. Slight discoloration at top and bottom of paper near center crease.